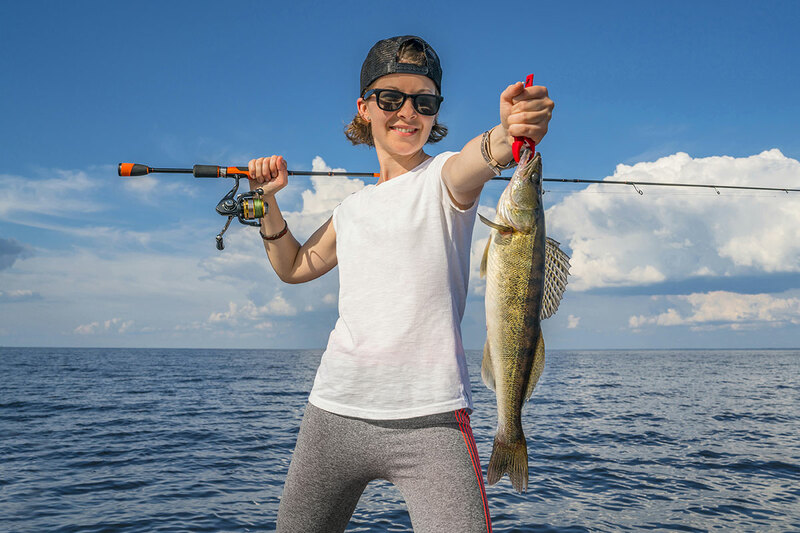 Saginaw Bay walleye were taken in 11 to 14 feet off the Pinconning Bar and near the Black Hole but those trolling had to work hard to get them. 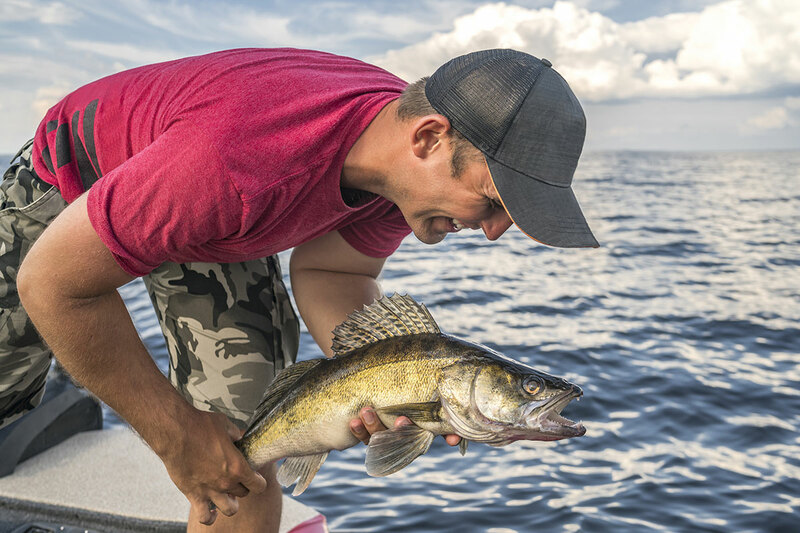 They are still getting the occasional walleye out from the Slot in 12 to 14 feet. 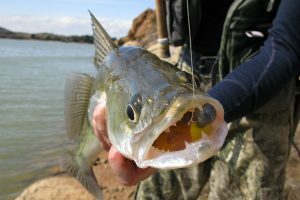 Perch were caught however anglers will need to sort out the small ones. 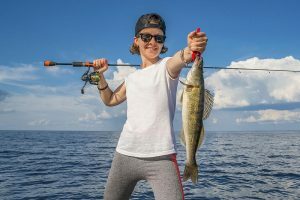 Catfish were caught from the Hot Pond and shore anglers are Essexville were still taking a few bass, catfish and freshwater drum. Au Gres Area walleye fishing slowed with only a fish or few taken per trip. Many were fishing in 25 to 40 feet south of Pointe Au Gres. Those trying for perch had little success. Au Gres River catfish were caught in the lower river however dredging continues to hamper fishing. Oscoda pier fishing was just starting to heat up as a few salmon and steelhead seem to be moving in closer. 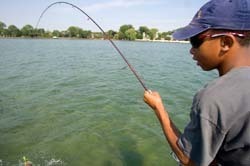 Pier anglers are using glow spoons or body baits. Boat anglers are fishing the upper half of the water column in 40 to 80 feet with spoons, dodgers and flies, squid and stick baits. Au Sable River seems to have a good number of walleye between the mouth and the dam. They are hitting on crawlers, leeches and body baits. Early morning and late evening were best however don’t rule out the mid-day catch. 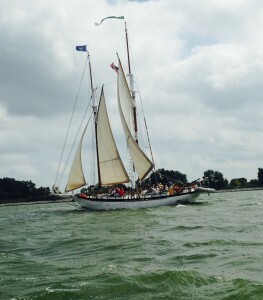 Port Austin windy weather made for difficult fishing however when boats can get out they did get some lake trout in 140 feet. 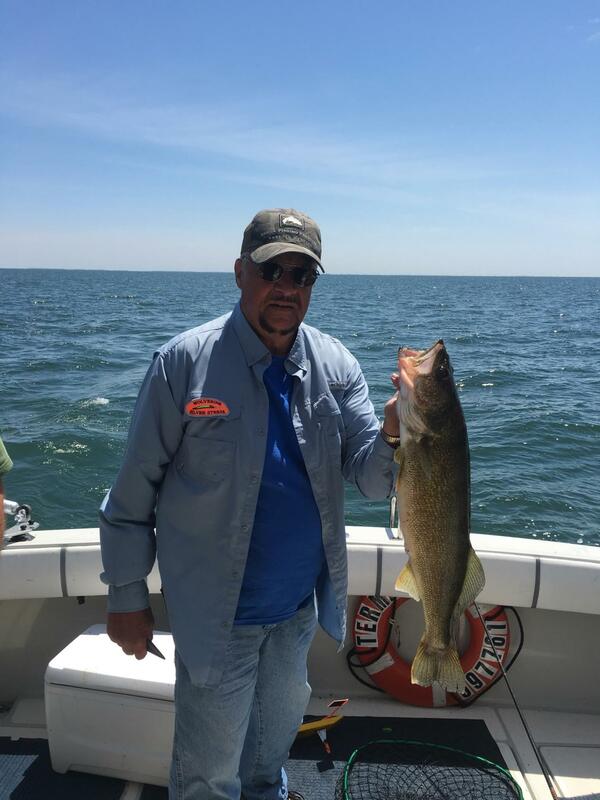 Tawas Area those trolling had to work a little harder to find walleye. A few fish were taken off Buoy #2, inside the bay near Buoys 4 and 6 and down near Alabaster.